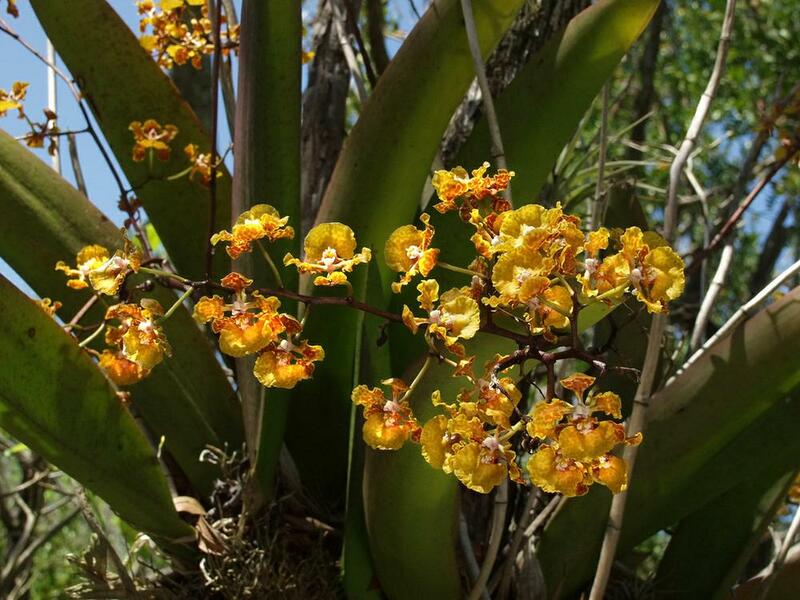 Trichocentrum is a genus of about 70 species of epiphytic orchids that occur in humid forests from Florida and Mexico to South America. Pseudobulbs are reduced and often unobserved due to the presence of obtuse, fleshy leaves. The flowers are large and showy and inflorescences range from a single to few flowered raceme. Most flowers are white to white with crimson dots. Flowers vary in shape from fully open to an almost cup-shape with an outward lip. The lip has a short spur and the column has a pair of apical wings on the stigma. Find an orchid by entering your geographic location. 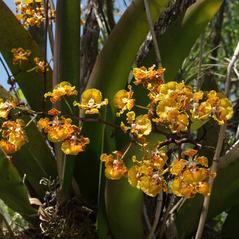 Find an orchid by entering the scientific or common name. Enter the key to narrow your orchid search by answering simple questions. All images and text copyright © 2011-2019 North American Orchid Conservation Center or respective copyright holders. All rights reserved. Go Orchids and NAOCC are supported, in part, by the Smithsonian Institution and the United States Botanic Garden.